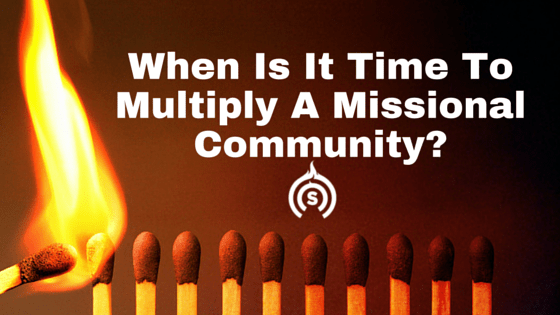 When Is It Time To Multiply A Missional Community? It’s been nearly a year since we launched our missional community here in Los Cedros, although it feels like it was just a few months ago. When we began, we had no “members”. It was just me, my wife Lili, and two of our ministry school students. We started by meeting on Monday nights together to pray and seek the face of God about what He would have us do since unless the Lord builds the house, we will be laboring in vain. I mention this detail because once we stepped out of the boat, I came across a lot of different material about how you need a minimum of 20 members to start off, and well, we weren’t following that point of view. Instead, we sensed a clear mandate from the Lord to “start”, and then we started praying for neighbors to receive Christ. We didn’t want to transplant people from one community or another church. We wanted to win our neighborhood for Christ and see it transformed in the years to come through both prayer and active evangelism. We started off strong. I shared with our two students how Lili and I sensed we were to start something with the goal of training everybody who came to be involved to make disciples themselves or lead some kind of community of their own down the road. That we wouldn’t just indefinitely pray for vision every Monday night forever. Neither would we indefinitely continue whatever form our community wound up taking on at first, which eventually was (is) a Bible study and continuing to pray on Monday nights, as well having monthly communal meals. But that we would multiply and before the end of the decade, and have more at least three missional communities multiply out of our initial group. But we hadn’t even started this one yet. We just sensed this was our DNA and vision. We were just stepping out of the boat into the water like God had told us, and expecting Him to create the platform under our feet for every step we took, and casting this vision for the two students we asked to join us on this journey. And if you have been following my blog and podcast, you’ve heard me share our successes and failures along the way so far. They have shaped a lot of what I’ve been writing and discussing in a “spread the fire” motif. In very little time at all, we saw several of our neighbors convert to Christ and immediately start attending the Bible study we started on Wednesday nights in order to help them grow deeper in their knowledge and understanding of the Word of God. As we take stock and look back over the past year, a few of these have lost interest and are no longer interested in the things or fellowshipping with us. I’m reminded of the parable of the sower, which talked about how as soon as the cares of this life or persecutions came, these up and leave. Meanwhile a couple of others come to mind as having raced forward and our going through our “leadership pipe” (more on that in a moment). We continue meeting on Monday nights to pray by neighbors by name, but in all honesty, sometimes these meetings are boring. Other nights God shows up and encourages us and confirms the direction we’re going in and we look like a chaotic charismatic church service. But we always keep praying for neighbors by name as the backbone of why we’re meeting on these nights. Where will this take us in 5 years? Recently our leaders Mark and Anna asked everybody in our weekly leadership meeting in our Central Oikos “hub” for a six-month vision and a three-year vision and plan of action. If we don’t reach these goals, they’ll kick us out of Oikos. Just kidding, they never said that. But more of a way of helping us hone in on our vision and how we see things being in 6 months and three years. As human beings, I’ve noticed when we have a focus or motivation for where we’re going in, we go in that direction. We strive to meet these goals. So, Lili and I have been soul searching and praying. As we have prayed about these timeframes, we inevitably ask ourselves if we’re now where we’re at just as we may have thought we would be last year. In terms of numbers, I thought we’d be further along than we are, but at the same time, if we consider we started initially with nobody in our neighborhood, we’re pretty excited! We’ve prayed with 12 neighbors who’ve accepted Christ, mostly who live on our street or block. So goals and vision are relative. Some Christians preach and teach the proper way to have church or do evangelism but have never led a single soul to Christ, let alone a dozen of their neighbors. This has led to some mistakenly telling me I’m an evangelist, when I’m not. I just make sure to obey what God is telling me to do. But on the one hand, I feel like we’ve been moving slower than I anticipated. Am I allowed to admit that, or do I have to only write blogs and newsletters about our successes and make you think I’m crushing it at winning our neighborhood for Christ? How Big Does Your Group Need to Be in Order to be a Success? That being said, other people both inside and outside of Oikos have been a tremendous encouragement to us that they feel Lili and me are on the right track, and not to get distracted by numbers. Even if our path to date isn’t up to our previous expectations, our unchanged trajectory is correct. When I remind myself that it’s not about numbers, I then look at our small group and realize that almost each and every one of them are turning into some really profound people who, not long from now, I’d trust each and every one of them with launching out on their own and starting their own community or gathering or whatever God puts on their hearts for how to make and multiply and disciples. But yet we still don’t even have a total of twenty people in our community in order send them out with a minimum of twenty to start a new one. Instead of looking like the picture of multiplication above, we’re looking a lot more like this image below from the cover of Mike Breen’s book, Multiplying Missional Leaders. We may not be wide, but we are turning into a deep group. Sheep who are being turned into shepherds who in turn, if we are doing this right, can help turn other sheep into shepherds as well, and repeat (multiply) this process. That being said, I came across a few articles by Todd Engstrom recently, and I’m processing them and citing from them for my own sense of “processing out loud” more than to agree or disagree or continue exploring missional communities for the sake of blog content on my site or anything like that. 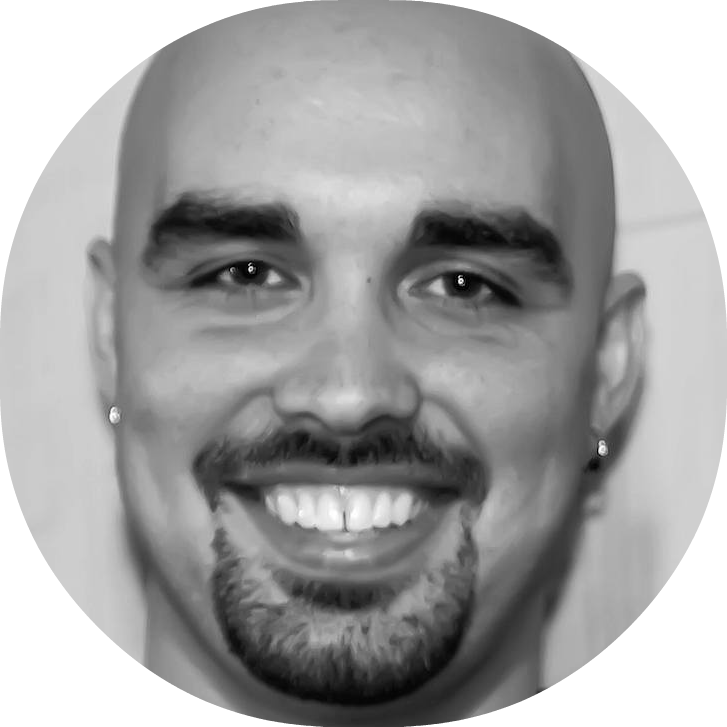 Plus, upon further investigation on Todd’s website, he wrote a seminary thesis called Missional Community as a Model For Integrated Discipleship in an American Context. I plan on reading it in its entirety on my tablet at a later time, as this is of incredible interest to me. Even if I’m not in an American context, many of my readers are, and this will help me with communicating what I’m doing in Peru into a context the bulk of my readers can latch onto in their own lives. The first point in his article about when not to multiply a missional community is you don’t do it because your group has gotten “too big”. Well that’s easy for us as we’ve still not really even outgrown our living room yet, and for now, as mentioned, all we’ve been doing is having a Wednesday night Bible study, Monday night prayer meeting that, admittedly, is less attended than the Bible study is, and many of those in our MC now attend our central Oikos house church on Sunday mornings, which is often standing room only. First, the group is often large because something is going right – the leader is doing an effective job, there is a strong group of hospitable people, or providentially there was a pocket of people who needed connection. Often times what will happen if you multiply a community like this is a new smaller community will begin that begins strong, but ultimately fizzles and dies. Meanwhile the original group will often just grow right back, which continues the original problem. I would strongly suggest you not multiply without a clear vision for the lost. This kind of multiplication is often driven around the needs of the community members. We need to multiply because I can’t meet X night. We need to multiply because I don’t “click” with so-and-so. Whatever the reason, this is more like division than multiplication, and in my experience results in more missional communities dying than any other. It often reveals a consumeristic heart – the response is not to multiply, but to patiently address consumerism with the gospel over time. From the get go we’ve established and have been repeatedly clear of our vision and goal for not just the lost, but the lost of our neighborhood in Los Cedros in particular (see this blog post/episode of the podcast that deals with the prophetic mandate and vision God has shown us as a group while studying the Song of Solomon). Engstrom’s other reasons for not multiplying include not doing so if the group is unhealthy, as that will just continue to spread unhealthy DNA, and not doing it just because someone, maybe a leader or mentor, told you to. Why Multiply a Missional Community in the First Place? There is no question that the church of God, both in seasons of great triumph and great struggle, continues to make and multiply disciples through power of the Spirit in accordance with the Word. Multiplying disciples will naturally lead to multiplying communities and ultimately multiplying churches. Multiplication is the natural outcome of obedience, and movement requires multiplication. Notice too, that much of the emphasis is on the Word of God multiplying. Multiplication isn’t just about numbers, it’s about the reign and rule of God extending, and His kingdom being established through submission to His Word. We multiply because we want to demonstrate God’s kingdom and proclaim the good news to more and more people. So what if your missional community is really small, and not “big enough” to multiply, but your disciples are growing in maturity and don’t require the same level of challenge and growth that other newbies in the faith do? For example, if our group doesn’t grow numerically, I’m still wondering if that should stop us from commissioning a core family — just for an example — to launch out and focus on doing their own because that’s where they’re at in their discipleship/growth phase — the need to shepherd and lead, rather than continue in this follower-only phase indefinitely. That’s to say, they’re ready to lead, even if the group hasn’t grown to a size others would multiply it at. So far, I lean towards the idea that if it is going to expand the kingdom of God, I’m all for it, no matter how little or big in terms of numbers. In the meantime, I also invite you to check out previous episodes of the podcast that deal with disciple multiplication in the context of missional communities or organic church.